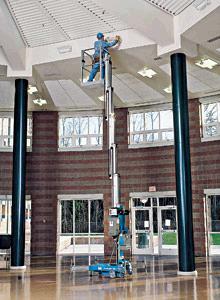 The Genie Aerial Work Platform is the ideal equipment when space is limited! Lightweight maneuverability and durable design make it a versatile option for a wide variety of light-duty construction and maintenance applications. 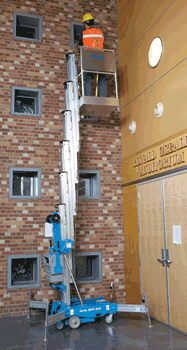 * Please call us for any questions on our genie all work platform 30ft rentals in Durango CO, LaPlata County, Mancos, Ignacio, Cortez, Bayfield, Pagosa Springs, and Silverton CO.